proaudiostar has no other items for sale. 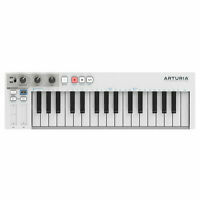 The Arturia Keystep is a high quality MIDI controller that connects seamlessly with a computer or other electronic music device. Perfect for both the home studio and live sessions, this keyboard provides comprehensive control of computer based synths, drum machines, and samplers through standard MIDI connection. Additionally, the high quality build and components of this controller mean it is both reliable and durable enough for life on the road. Sales tax may apply when shipping to: AL*(9.14%), CA*(7.25%), CO*(7.63%), CT*(6.35%), GA*(7.29%), ID*(6.0%), IL*(6.25%), IN*(7.0%), IA*, KY*(6.0%), ME*(5.5%), MD*(6.0%), MA*(6.25%), MI*(6.0%), MN*, NE*(6.85%), NV*(8.14%), NJ*(6.6%), NY*(8.875%), NC*(6.97%), OH*(7.17%), OK*(8.92%), RI*(7.0%), SC*(7.43%), UT*(6.94%), WA*, WV*(6.39%), WI*(5.44%). This is a great controler for controling everything in Music today. Not only your hardware syths but all Digital Audio Workstations. 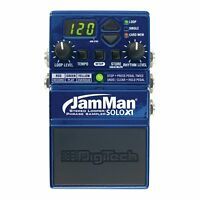 It has one of the most complex yet easy sequensors I have used. 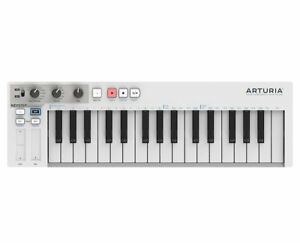 In fact this Arturia Keystep is my second. What is better then a Arturia Keystep ? haveing two Arturia Keysteps. Massive features for a great value. 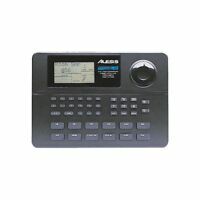 Great value for this controller/sequencer. I do hope they come out with a Keystep Pro soon, however, this one will still be handy for the price. The Keystep is great all around. The only thing negative about it is that Arturia doesn't come out and plainly state that it should be powered by a USB charging port.